Because we grow most of our vegetables and eat very seasonally, it’s either feast or famine when it comes to zucchini and other summer squash. 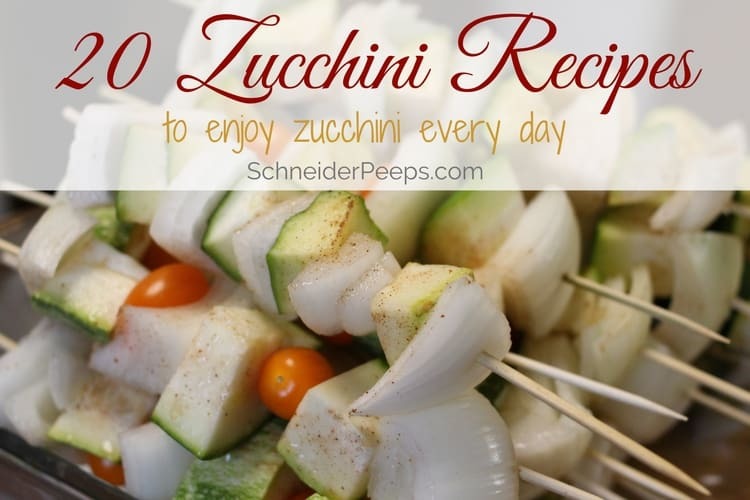 Right now we’re in the feast season and I’ve been looking for zucchini recipes to diversify our meals a bit so my family won’t complain about eating zucchini every day. When the zucchini first starts coming in we eat it fresh every couple of days and I preserve some for using during the winter. But once I have enough preserved we start eating zucchini almost every day. And yes, having the same vegetables over and over is sometimes boring. However, we only think that because we have access to such a huge variety of fruits and vegetables year round. I’m so thankful to live in a time and place where we have access to such amazing variety of food. However, the abundance can also give us a sense of ungratefulness. Eating seasonally helps keep us grounded and grateful. We enjoy zucchini and summer squash while it lasts, knowing that there will be a season of not having it. 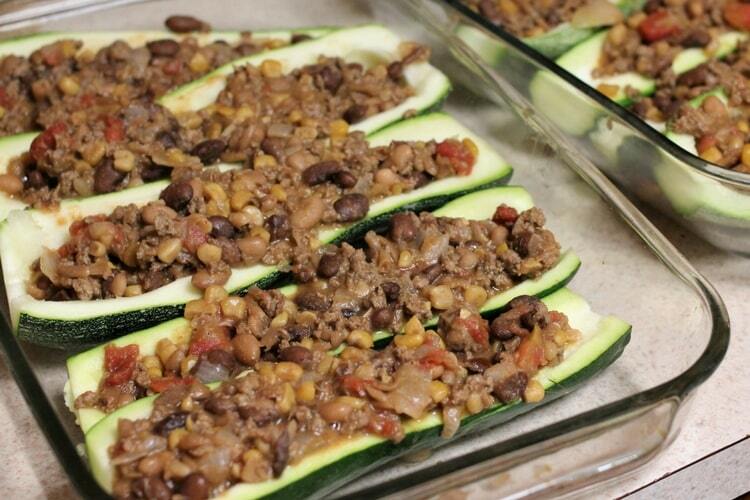 With this same idea of being grateful for what we have, I don’t hide zucchini in things. Yes, we make zucchini brownies and zucchini bread but I don’t hide fact that they have zucchini in them. In fact, I don’t hide any vegetables in any food as I don’t think that’s very respectful to my family. Therefore, I won’t be pureeing zucchini and sneaking it into spaghetti sauce to use up the zucchini. So, we’ve been eating zucchini fritters, stir-fry, zucchini lasagna, vegetable kabobs, and “spaghini” which is what my family is calling zucchini cut like spaghetti with meat sauce on it. We’ve preserved a year’s supply of zucchini and we’ve shared quite a bit with friends. 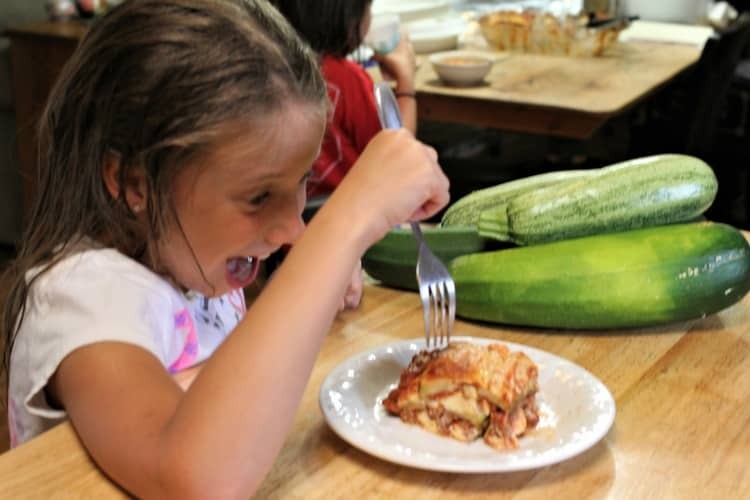 But the plants are continuing to produce so I asked for zucchini recipe recommendations on our facebook page and from some of my favorite bloggers. I haven’t tried them all but the ones I have tried have been wonderful! So, I thought I’d share the zucchini recipes with you in case you’re flooded with zucchini right now. Zucchini and summer squash are so versatile there’s really no reason to not enjoy it every day of the season. 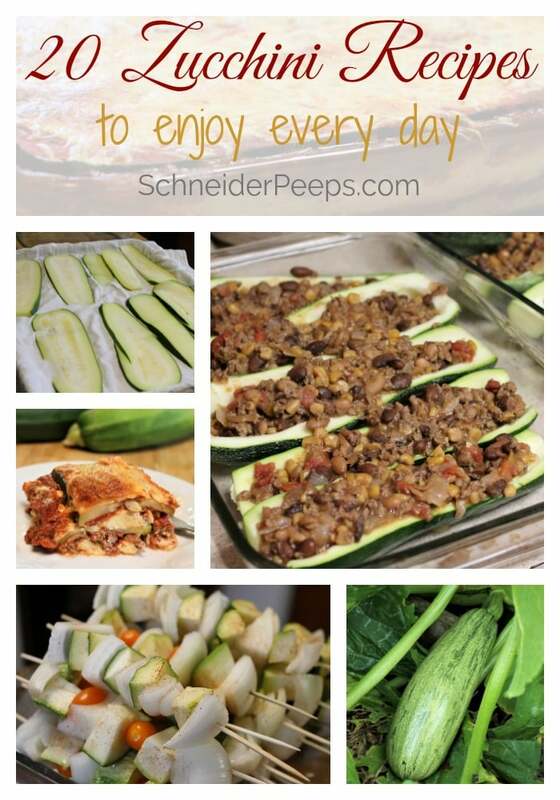 If you have some favorite squash and zucchini recipes please share them in the comments. You know what’s funny? Since we couldn’t plant a garden this year, I actually have missed having zukes coming out my ears. I’m certainly saving these ideas for next year’s garden, though – they’re perfect! That is funny! We’ve not had them for a few months now and my family is already missing them!